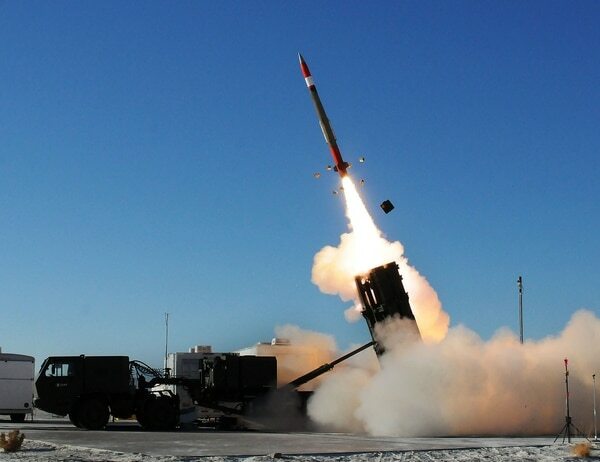 Correction: Diehl Defence is the maker of the IRIS-T SL missile. COLOGNE, Germany — The United States and Germany continue to negotiate behind the scenes over access to a highly classified computer model that Berlin needs so it can build its next-generation anti-missile system, according to sources and documents. The spat, which is only partially resolved, is mentioned briefly in the German Defence Ministry’s newest report to parliament on the status of big-ticket weapon programs, released late last week. Without mentioning the missile model by name, the document laments a “very restrictive” stance by the U.S. government on the question of making the sensitive algorithm available for Germany’s TLVS program, short for Taktisches Luftverteidigungssystem. 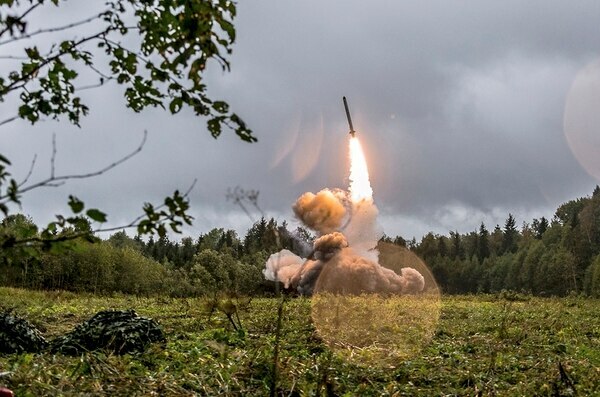 At issue is a “six degree of freedom” simulation for the interceptor missile in that weapon, known as the PAC-3 Missile Segment Enhancement, or MSE. In its most sophisticated form, the model can predict precisely how the interceptor would fare against the performance characteristics of enemy attack missiles, relying on data often obtained through spy craft. “If you have the model, you know exactly, ‘Here is what the MSE can do, and here is what it can’t do,’ ” said one source close to the program. 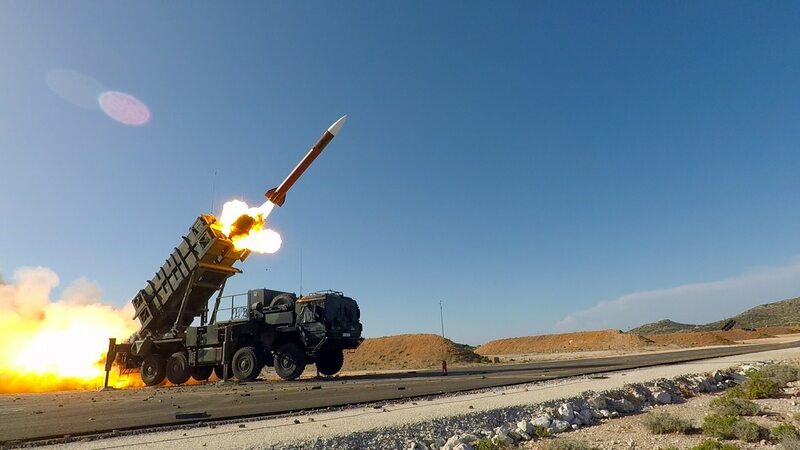 Confidence in any interceptor’s hit probability is key in the missile-defense world, where minute performance variations can mean the difference between an incoming missile shot down or a so-called leaker delivering its warhead to Earth. Lockheed's gigantic long-range discrimination radar is proceeding on track for a 2020 debut in Alaska. In the wrong hands, the modeling data could enable adversaries to exploit weaknesses of an entire interceptor class. Germany is building its TLVS system on the back of the now-defunct, Lockheed Martin-led Medium Extended Air Defense System. That system was once meant as a replacement for rival Raytheon’s Patriot weapon, and the companies have fought tooth and nail over the worldwide market. Germany owns most of the intellectual property associated with the MEADS components, the result of an explicit objective to field a system completely in the hands of the Bundeswehr, Germany’s armed forces. But the MSE missile-performance model falls outside that purview because the interceptors can also be shot out of existing Patriot fire units. That puts the modeling component under grasp of the U.S. Army’s Lower Tier Project Office, which has a history of making life difficult for any technology other than Patriot, and MEADS in particular. A talk between German Defence Minister Ursula von der Leyen and U.S. Defense Secretary Jim Mattis last summer helped grease the wheels toward Berlin getting at least some of the requested missile-modeling data. Von der Leyen reportedly characterized TLVS as the type of program signifying Berlin’s seriousness in investing more in Europe’s defense, a key Trump administration talking point. Mattis found the argument convincing, and in early October the U.S. Army’s program executive officer for missiles and space, Brig. Gen. Robert Rasch, offered the Bundeswehr a compromise. A lower-fidelity version of the PAC-3 interceptor model would be fully transferable to Germany through the Pentagon’s Foreign Military Sales process, Rasch wrote to Brig. Gen. Christian Leitges, who coordinates information acquisition for the German armed forces. The full model, however, would remain in U.S. hands and on continental American soil, with access granted only under highly scripted conditions. “For our mutual protection of this critical capability, the simulation must remain controlled at a special access required (SAR) facility to which access will be allowed only to a limited number of cleared U.S. and German government and industry personnel,” Rasch wrote. Citing a desire for “maximum performance” of the MSE missile in the German anti-missile program, integration of the high-fidelity model into TLVS simulations “must be performed by U.S. personnel,” Rasch added. Further, any threat models to be used in the simulations must be approved by the U.S. government, and all threat model data must remain at the special-access area of the simulation facility, the letter states. Model results “may be released” from the U.S.-based facility, but only after a Pentagon review. “The goal is to minimize process delays with production and release of missile model data,” states Rasch's letter. Notably, the TLVS program envisions integrating a “secondary, national” interceptor besides the PAC-3 MSE missile, the Infra-Red Imaging System-Tail/Thrust Vector Controlled Surface Launched, or IRIS-T SL, made by Diehl Defence. A Lockheed Martin-MBDA Germany team is expected to deliver a final cost proposal in February or March, which would then undergo parliamentary review. In particular, Germany's desire for improved radar capabilities of the envisioned TLVS system are expected to drive up the price. For example, Berlin wants the weapon to work against the Russian Iskander missile and threats flying at hypersonic speed. While the Defence Ministry’s recent report keeps the door open to extending the service life of Germany’s Patriot fleet in case of further delays, officials are still bullish about the new program. “We remain convinced of the superior capabilities of the selected TLVS technologies, such as 360-degree radar and interceptor coverage,” a Defence Ministry spokesman told Defense News. Meanwhile, industry and government officials have put a number of measures in place to insulate the program from unexpected turbulence. Those include attempts to warm the FDP and Green parties to the effort, as both parties could play a role in a new government should the SPD-CDU coalition led by outgoing Chancellor Angela Merkel break apart before the end of her term in 2021. And to ensure funding next year, the parliament’s appropriations committee in November approved a request by the Finance Ministry that unspent funds on the Bundeswehr’s STH heavy-lift helicopter program may be used for TLVS development.